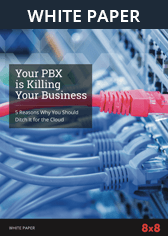 Privileged Communication Rule in Unified Communications | 8x8 | 8x8, Inc. The practice of law is as much about communication as it is advocacy and knowledge of cases and statutes. Clients rely on their legal counsel for advice and information. The attorney-client relationship thrives when open communication is fostered between the parties. Modern office technologies, such as unified communications (UC), voice over internet protocol (VoIP), and virtual contact center solutions, enable client connection and engagement. The privileged communication rule, however, can restrain lawyers and law firms from rolling out certain communications options. This rule, which is a broad topic that encompasses both legal ethics and evidentiary law, is central to the attorney-client relationship. Can technology threaten client confidentiality? Or, is it a tool for managing communications in a way that can strengthen this protection? What is the privileged communication rule? Privilege and attorney-client confidentiality sometimes thought of as synonymous. However, there are some critical differences between the two ideas. Both share the same fundamental concept — that an individual, or a business entity, should feel free to speak openly with their attorney without fearing disclosure of the information. Attorney-client confidentiality prohibits a lawyer from disclosing client information to a third party. The privileged communication rule is an evidentiary rule that protects attorney-client communication from compelled disclosure in a litigation setting. Confidentiality is both a component of the privileged communication rule, and it exists outside of privilege. In other words, a communication must be made in confidence to be privileged, but if the conversation was not about legal advice, it might not retain privileged protection. For example, a client's phone calls with an attorney about estate planning advice would likely be protected. A confidential disclosure of some personal information to an attorney, such as a personal problem that is unrelated to the law, would be protected by the legal ethics rules, but not evidence rules. How does the privileged communication rule relate to unified communications? Attorneys and other professions face an interesting customer relations challenge. Communications tools enable robust channels, and the ability to leverage technology to improve client experiences, but confidential rules can tie a lawyer's hands. Because of confidentiality and privilege, attorneys must exercise caution when communicating with clients. There are several ways for a client to waive the protections of the privileged communication rule, such as by communicating the information to a third party. Confidential information can also be compromised through inadequate data security practices. These two risks require an attorney to handle communications carefully. Setting policies for client communications is one indispensable method of protecting privilege and confidentiality. A law firm should create and revisit policies and ensure that employees understand the importance of maintaining confidentiality. In some jurisdictions, the American Bar Association's Model Rules of Ethics Rule 1.1 has been adopted, which now states that an attorney must be competent in their work, including an understanding of the technologies used in practice. Elevating communication technology knowledge to the same level as legal practice area knowledge underscores the importance of maintaining the sanctity of the attorney-client relationship. Another possible problematic area for privileged and confidential communication is the use of social media. Facebook, Twitter and Instagram are popular platforms for businesses to connect and engage with customers. Lawyers should ensure, however, that confidential information is not divulged in comments on posts or through direct messages through these platforms. This may be difficult for attorneys to police, as potential clients may send messages asking for advice on particular situations. However, clients should be informed that these sites are meant for advertising and not for advice or information about case status. In addition to established policies and practices, any attorney looking to use unified communications should ensure that the highest-level data security practices are used. 8x8's unified communications, VoIP and Virtual Contact Center solutions feature enterprise-level security and include partnerships with TRUSTe and other privacy accreditation methods. These solutions provide modern communications tools while maintaining confidentiality, and satisfying the privileged communication rule.